Zimbabwe Tourism Authority CEO Karikoga Kaseke. MASVINGO- The construction of the 13km Tugwi Mukosi Dam access road is 98% complete according to statement from released by ZINWA last week on Saturday. The road which was built at a cost of $6.9m by a Chinese company, China International Water and Electric which contracted by the country water authority, ZINWA will link the 1.8b cubic metres water reservoir to the Ngundu Chiredzi Highway. Only road markings and rails on the shoulders of the three bridges are being put in place which is set to be finished by end of this month. “Construction of the Tugwi Mukosi access road is almost complete with overall progress at 98%. According to the Designs and Construction Section’s weekly report for the week ending September 6, 2018, what is outstanding includes the cutting of the road side drains and masonry works for the protection of bridge embankments on the road,” reads part of the statement. “The road is 99% complete and any time it will be commissioned,” said ZINWA official Tsungirirai Shoriwa. Construction of the road started in May 2017 and is expected to be fully complete by end of this month. Tugwi Mukosi access road is expected to bring convenience to tourists visiting the dam. 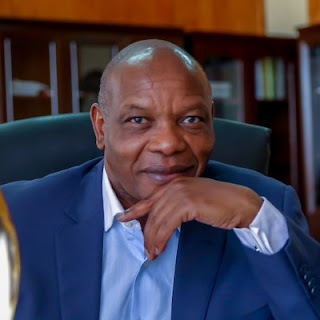 According to Zimbabwe Tourism Authority CEO Karikoga Kaseke there is a South African investor angling to set up a cable car at the giant water body and the road will go along in boosting tourist arrivals as there will be recreational facilities. Tugwi Mukosi was commissioned in 2017 and it is the largest inland water body which is expected to irrigate over 25 000 hectares of land in the Lowveld and generate electricity as well.